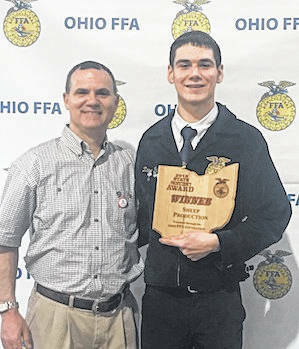 GALION — Northmor FFA member Zane Parrott learned last week at the State FFA Convention that he was the winner in the category of sheep production having the most proficient FFA sheep project in the state of Ohio. Zane is a junior at Northmor High School. Parrott is shown with his father andag teacher Ken Parrott.